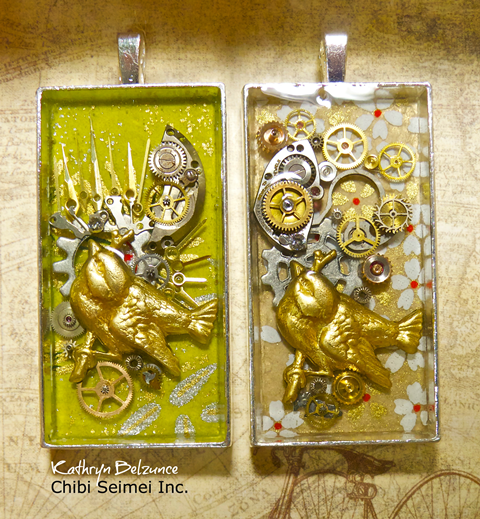 Chibi Seimei Inc. is a maker of handmade Steampunk inspired jewellery. 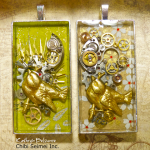 Kathryn B. is the artist and a designer for Chibi Seimei Inc, based in Oshawa, Ontario, Canada. Her designs are based on a vintage and an edgy industrial aesthetic with an emphatic imaginative flair based on the ever popular Steampunk genre. While the pieces have a certain nostalgia with the use of upcycled material, such as vintage watch parts and design influenced by vintage jewellery, the final result is the inspired jewellery pieces that are current and at the same time reminiscent of their vintage past.